Sage Hall is home to the Department of Music. 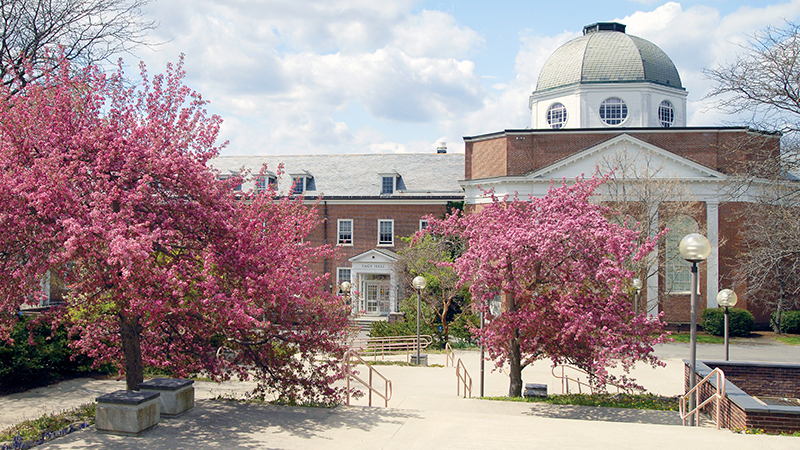 It houses abundant resources for music students and faculty, including an oustanding concert hall, an intimate recital hall, a digital classroom with electronic pianos, a well-equipped electroacoustic studio, an early-music room and numerous practice rooms with grand pianos. 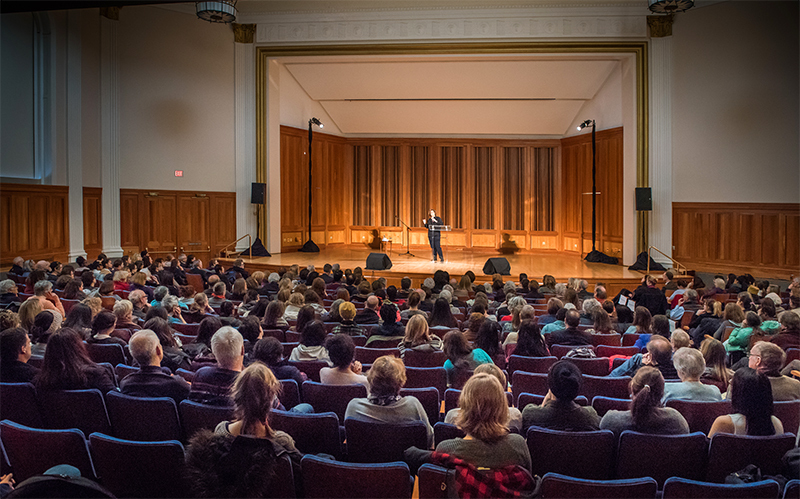 Sweeney Concert Hall is one of the most sought–after concert halls in the northeast. This beautiful performance space seats more than 600, and its broad stage can readily accommodate the needs of a diverse range of performances, from solo recitals to large choral and orchestral ensembles. Sweeney's excellent acoustics are suitable for both vocal and instrumental performances. For information about reserving this space, please contact the department office staff. 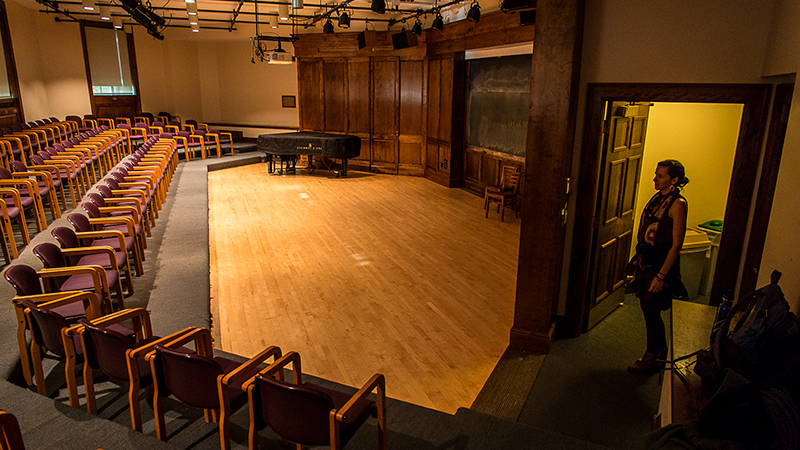 Earle Recital Hall, located on the first floor of Sage Hall, is ideally suited for intimate performance occasions. The hall seats up to 120, and its stage can accommodate two grand pianos or small to medium ensembles. For information about reserving this space, please contact the department office staff. One of four libraries at Smith, the Werner Josten Library is one of the finest undergraduate music libraries in the nation. It is housed in the Mendenhall Center for the Performing Arts and is situated directly across a small courtyard from Sage Hall. The library contains an exceptional collection of more 108,000 volumes (books, scores, playscripts), 61,000 sound recordings, 3,300 video recordings and more than 260 current periodical titles. Access to the Internet is supplemented by a variety of full text and streaming audio and video databases. 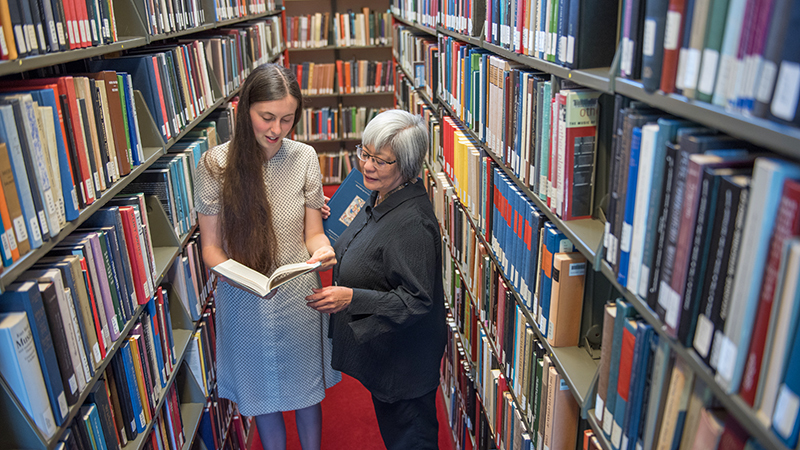 The Ankudowich Rare Book Room, the Einstein Manuscript Collection and other source material offer a rich opportunity for research. Besides the extensive listening facilities, there are individual and group study rooms as well as multimedia workstations. The department’s instrument resources include excellent keyboards. Two Steinway “D”s, a Hamburg Steinway “C,” three harpsichords and three pipe organs (in the Helen Hills Hills Chapel and John M. Greene Hall) are regularly used for teaching and performance. The department’s fortepiano was built in 1985 by Robert E. Smith after a design by Conrad Graf.